Back in 2015, a game called Monstrum was released on PC. 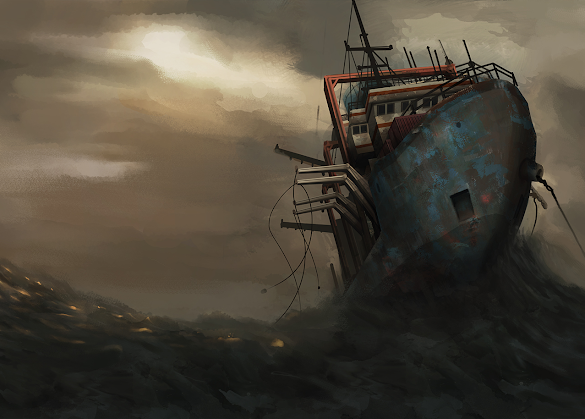 A survival horror game that sets players the goal of escaping an abandoned cargo ship, this one's point of difference was that it was procedurally generated, with randomised level design that meant no two playthroughs would be the same. I'm wary of procedural generation in horror games as a rule of thumb. To me, horror needs a carefully constructed atmosphere, and procedural generation is the opposite of "careful construction." But since 2015 fans have responded to it quite well, and now it's coming to PlayStation 4 and Xbox One courtesy of Soedesco. - Survive a different environment and monster each time you play. - Use whatever you can find to outwit the monsters and escape the ship. - Stay alive or start all over again. Good luck. Start running. - Hide, distract and run, but be careful not to fall into the numerous traps.